Does anyone know of good resources (online lectures, books, documentaries, or otherwise) for learning the engineering behind synthesizers, like circuity and all of that? I tried watching some of the lectures, but it went a little too fast for my understanding of electrical engineering. Just seconding the Electro Notes documents. It’s been recommended to me various times. Forest Mims ‘getting started in electronics.’ - a nice review book, in notebook format. Starts basic but… basics are good. Make: Analog Synthesizers. Ray Wilson. (of Music from Outer Space). Basic-ish. Practical Electronics for Inventors. Scherz and Monk. 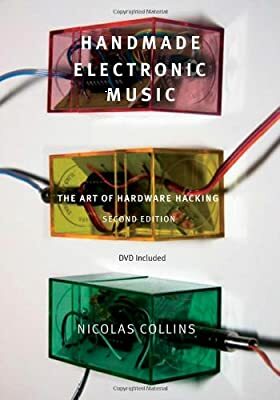 Handmade Electronic Music: The Art of Hardware Hacking. Nic Collins. Musical Applications of Microprocessors. 1980. Hayden Books. Hard to find but lots of good old stuff. I have all of these if you want more info on any. Seems that a bunch of us all posted Nic Collins’ book at nearly the same time. I hit post 2nd. I get the silver medal? I love that book and read it from cover to cover. Collins courages experimentation and has such a great diy spirit. Lots of fun breadboard + simple things to try. Also, check out Collins youtube-channel, he’s great! Going to resurect this thread rather than start my own. I’ve been considering modifying some circuits in some modular gear. Is there anyone with a decent knowledge of electrical engineering who would be willing to let me PM some noob-ish questions about what’s going on in a schematic to help make sense of a few things? Unfortunately my own electrical engineering education left me with a lot more practical knowledge of software design than circuit design, but I feel like a circuit design/troubleshooting help thread would be something I’d intently eavesdrop on. Yeah, a general thread seems like it could be useful as well. This has some overlap with the Hardware Design thread as well. Maybe a general thread Q:A thread would be useful as well? I’m an EE. I work in RF power generators but I can try to answer some questions. Ask away. I’m an EE also and I’ll throw my hat in the ring.